As a member of the International Ozone Association you will receive online access to IOA’s bimonthly journal which delivers detailed analyses of major research and developments. Each issue contains abstracts and full articles on a wide range of ozone issues. In-depth technical findings, application analyses, experimental results, engineering improvements, system design reports, and hundreds of other vital articles are compiled specifically for your use. 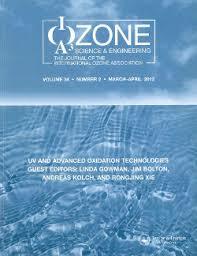 No other publication presents such detailed, problem-solving information on ozone technology. Members receive unlimited access to the full catalog of Ozone: Science and Engineering!